As a local company, we’re knowledgeable of local regulations regarding pool fencing, so you can rest assured that our team of experts will build your fence to code. We also use only the finest fencing materials and adhere to strict quality standards to ensure each pool fence we install provides long-lasting performance. Additionally, the fencing we install is covered by some of the industry’s best manufacturer warranties, and we provide our own three-year workmanship warranty for your peace of mind. A pool fence may be a requirement, but that doesn’t mean it can’t enhance the aesthetic appeal of your property. Virtue Fence is proud to offer attractive fencing materials, such as vinyl and aluminum that are available in a wide range of styles, colors, and other options to suit your tastes and property. 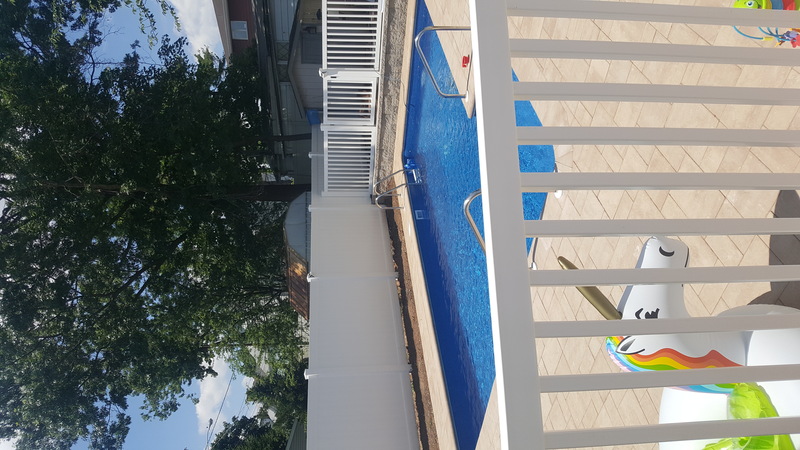 Learn more about what makes Virtue Fence one of the most trusted pool fence installers serving Northern New Jersey by contacting us today. We’ll be happy to tell you more about our fencing options and to schedule a consultation at your home.